We love our Larsen puzzles! They're just so beautiful! Larsen is a European brand that creates beautiful puzzles with realistic and stunning illustrations. Our first Larsen puzzle was the world map which I got from a local bookshop during a Halloween sale. I fell in love with the details right away that I kept on coming back for more Larsen puzzles whenever I can (afford). We would play with these puzzles during our quiet time in the afternoon. 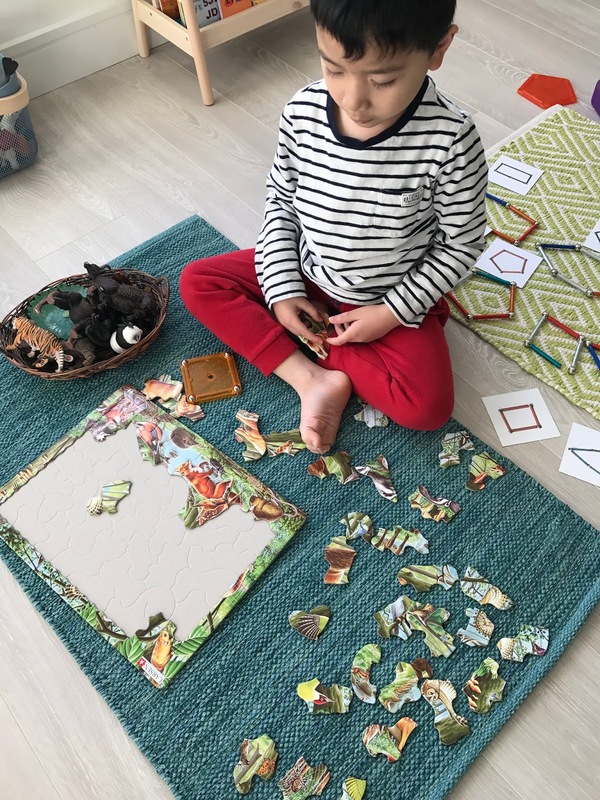 The best thing about the puzzles is that it has jigsaw marks on the board which serves as a guide making it easier for the kids to match jigsaw pieces. The number of puzzle pieces varies, so you need to check when purchasing. 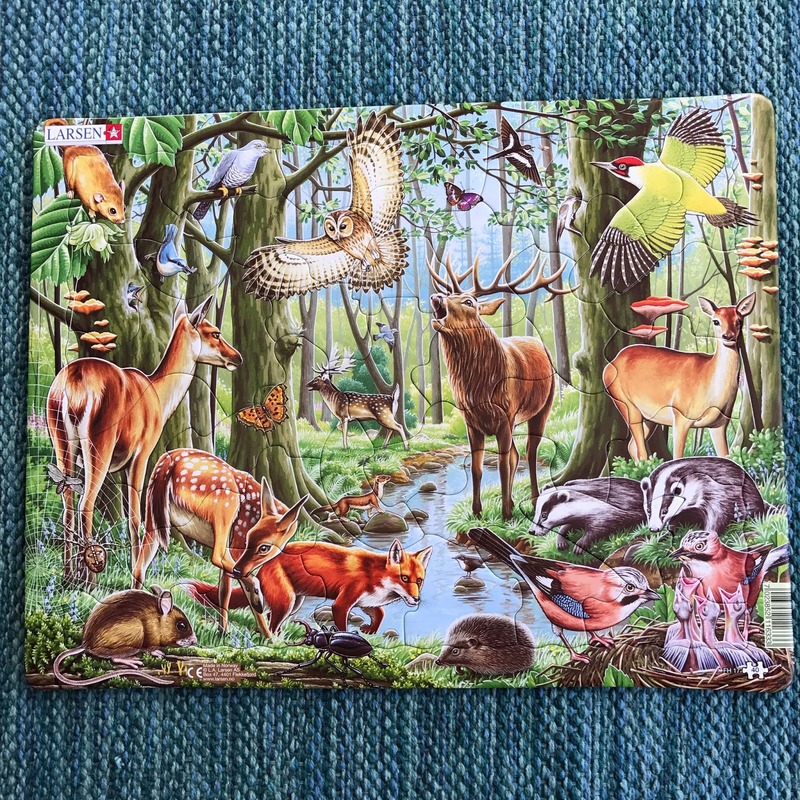 These animal puzzles ranges from 70-75 pieces and can be used both by my 5 years old and 10 years old. I told myself to keep the materials minimal this year, but who can't resist with such beautiful puzzles?